In 2003, I broke my leg in New York. I was playing basketball, my feet got tangled with an opposing player, and bones snapped below and above my ankle. I was living in the U.S. at the time and, by many people's standards, had good health insurance through work. Yet, I found myself in the nightmarish American health-care system. In 2003, I broke my leg in New York. I was playing basketball, my feet got tangled with an opposing player, and bones snapped below and above my ankle. I was living in the U.S. at the time and, by many people's standards, had good health insurance through work. Yet, I found myself in the nightmarish American health-care system, where it can seem like insurance companies put you in a labyrinth and make it as hard as possible for you to get them to pay for your care. On that day, there was no available surgeon who was in my plan (many insurance plans in the U.S. only allow doctors affiliated with them to attend to their customers, otherwise costs will be incurred; not all doctors are on-board with all insurers so even though a surgeon could be on duty and able to provide you with care it doesn't mean he or she will -- unless you agree to pay additional costs. If this sounds cruel and unethical, welcome to U.S. medical care.). So, while going out of my wits with pain, I had to agree to a higher co-pay in order to receive my emergency treatment from a physician outside of my plan's coverage. That surgeon was excellent, however his after-care was not covered by my insurance company, and no surgeon within the plan would take me on as a patient because they had not performed the surgery and did not want to be on the hook for any liabilities in case there were complications during my rehabilitation period. I ended up paying thousands in doctor fees after the fact. It's appalling that the U.S. government, insurance companies and hospitals expect visitors to the country to be prepared for all the repercussions that could befall them in a medical emergency when people living in the nation are befuddled by the system. Sadly, that's the way it is. So, if you need medical care abroad, especially in the United States, the suffering can go much further than your physical health. And that's even if you do have travel insurance. No matter that you still may be damned if you bought coverage -- you really can't leave home without this protection. Here are some tips for how to deal with the modern necessary evil that is travel insurance. 1. Be sure you have it. Just the thought of travel insurance sours the outlook on a vacation. Not only does it add a grim expense to a budget that many travellers want to set aside for only the good stuff, it's sometimes ineffective against a system that experts say is set up for the benefit of insurance companies not the individuals they insure. Many Canadian employers offer trip insurance to their workers and some credit cards also have protection. Your province will more than likely offer limited out-of-country protection, but you may have to apply for that coverage before you go on your trip. Oftentimes, that coverage is meagre. In British Columbia, for example, the province will cover up to $75 daily for expenses related to emergency hospital care for its residents outside of its borders. But as its website points out, intensive care hospital stays in the United States can run up to $10,000 a day. 3. Know what to do if you're in an emergency. If you find yourself in a hospital and you're confronted with confusing health forms, call the insurer -- or have someone make the call for you. Have a customer service representative from the insurer walk you through the questions that you find most mind-boggling. 4. Know your medical history.CBC recently reported on the plight of a B.C. 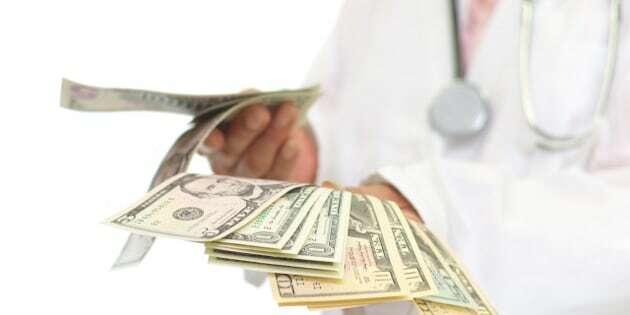 man who suffered a heart attack in the States and is now having difficulty getting his insurance company to pay up because the insurer says he answered a question incorrectly on his medical history form prior to receiving treatment for a heart attack. What the insurance company is doing is contemptible. The man, Bill Jennings, gave the best answer he could to a confusing question, but the insurance company found he answered incorrectly and is penalizing him by not paying for his $346,000 hospital bill. When you travel, keep a soft copy file that you can retrieve on your smartphone with your medical history (no, apparently, there isn't an app for that) and make sure the medical history is complete with your surgeries, inclusive of all minor operations involved in each procedure. 5. Your insurance card is as important as your passport. There are good people working in the medical system in the U.S. and Canada, and they don't want to see patients' lives ruined with medical bills. Some of them will do what they can to get you to the place where your treatment will be the least costly for you, but they have to know where that is, and they have to have contact information for your provincial health plan administrator. Make life easy for them and have that information handy. 6. Understand Canada's health-care laws. Yes, Canada has universal health-care, and we're lucky it does, but it's the provinces that cover your needs, not the federal government. So, you may need to add coverage when travelling outside of your home province as well. Check with your province's health-care policy, and with your insurance company. The need for worry within the country is far less than outside of it, though. In some cases, the provinces and care givers will work out some agreement to make sure Canadian citizens aren't burdened with health-care expenses incurred within the country.